Whether in your family, your ward, or your community, you've observed them: those noble individuals who are strong, patient, and stalwart in the face of adversity. When times are tough, how do they manage the challenging shift from victim to victor? Chances are they have figured out the balance of control—what they have charge of and what is in the Lord's hands. Michelle Wilson is a native of California. Through serving a full-time mission, teaching seminary, Sunday School classes, and speaking at various firesides and conferences, Michelle has developed a love of the power and simplicity of the gospel. She believes in the healing power of laughter and chocolate. She and her husband, Jerey, are the parents of three children and live in Washington State. This is the second book by this author that I have read. I love her use of humor mixed with gospel doctrine and insights. Balance can be so hard to find when you're weighed down with guilt and worry of being a mother. A great reminder that we don't need to be perfect, only willing to submit our will to God. This was a very inspirational book most people can benefit from! Michelle Wilson discusses the importance of realizing proper balance in our lives. There are many things we cannot control but there are four basic ones we can. It is crucial to obtaining a feeling of positive, well-being to decipher which ones we can control and which situations we must trust for God to be in charge of. 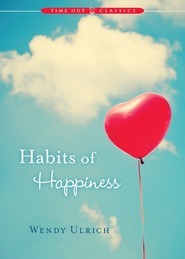 The first part of the book offers examples and ways to control what we can in our lives. The second part encourages us to trust God and ways to accomplish this. The book is a quick read, written with the perfect balance of example and inspirational counsel. It never drags. The reader will feel motivated to find this balance in His/her own life. This is written primarily for an LDS audience but many Christians will truly benefit from it as well. *I received this book as a gifted and am in no way obligated to offer a positive review. It’s difficult to balance everything we have to do each day. We want to do the best we can while wearing the various hats of parent, employer, friend, and neighbor, but it can be exhausting and overwhelming trying to do it all. In Michelle Wilson’s new book, she reminds us that we don’t have to do it all. She gives examples and teachings to inspire, tutor and comfort us in finding the beautiful balance in life. The key to this is to claim personal control over what we can—ourselves--and then give the rest over to God. I loved this book. The writing was beautiful (like the title) and flowed easily. If you’re feeling a little off-balance or stressed about life, this book contains great words of wisdom to help you seek the beautiful balance with God and find peace that only He can give. ***I received a copy of this book in exchange for a fair and honest review. 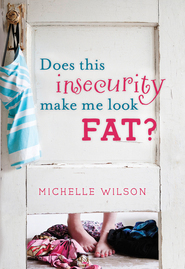 I enjoyed Michelle Wilson's first book, "Does This Insecurity Make Me Look Fat?," so I had high hopes for this one, too. I'm glad to say that it delivered! This book is a fantastic reminder that there are just some things in life we don't have control over. I received a copy from the publisher for an honest review. My opinion is 100% my own. The Beautiful Balance is an inspiring and helpful book written with LDS (Mormon) readers in mind, but other Christian faiths can definitely appreciate the insight and wisdom the author shares. I found myself highlighting several passages and quotes that resonated with me. I highly recommend his book and plan to refer to it over and over as I continue to seek a more balanced life. The book is written in two parts: claiming personal control, and giving the rest to God. She breaks down the concept of self-control into four aspects- control over our priorities, actions, attitude, and beliefs. I especially appreciated how the author explored the subtle differences between them and it was easy to apply each to my own life. Other topics examined are what's behind the quest for control, and the distinction between influence and control. In the second part, the difficult task of letting go is handled reminders of God's nature- full of compassion, love, and grace as well as expectations of faith and obedience. My favorite part was the importance of seeking and receiving personal revelation, refocusing and aligning our desires with God's in "the perfect companionship". The ultimate blessing of a balanced life is peace. "We think we want control, but what we really want is peace." When we understand that we control ourselves and trust in the Lord to take care of the rest, we can have peace through our trials and adversity and the power to overcome them. While her own experiences and struggles are a major part of the narrative, the author also explains other personality types and includes anecdotes for them as well. There are examples from members of her family and those she has come to know in church and life. She includes inspiring quotes from real-life heroes such as Elizabeth Smart, Viktor E. Frankel, modern-day prophets and apostles, plenty of stories from the scriptures, and best of all, words from our Savior Jesus Christ. I enjoy reading inspirational books like this one by Michelle Wilson. Somehow in the busyness of each day, it's easy to forget to seek balance. I get too busy feeling guilty over one thing or another. I fret over the next thing that needs to be done or that I didn't get done. The Beautiful Balance takes a look at these thoughts and feelings as the author shares some of her own struggles and the stories of others who have struggled as well with finding balance and accepting the fact that there is much in each of our lives that we can't control. But Wilson also points out something I've been thinking a lot about recently and that is accountability: stepping up and being responsible for our own actions and thoughts and choices. By doing this and then turning the rest over to God, it's possible to find peace and beauty in our lives. If you as a reader are looking for a book to help you find peace, to inspire you to focus on the things you can do something about, or a book to comfort you with stories of others like you, look no further. This book fits that description to a tee. Love the way this author writes and teaches! Reading this book was a really good reminder for me that I can't control really anything but myself. I have a tendency to expect perfection from everything and everybody around me and that's something about myself that I really need to work on being better at not doing. I loved this book. I love Michelle Wilson's writing style. She includes plenty of personal anecdotes and her takes on scripture stories. I love that she is able to write about difficult subjects like this and not sound overly preachy. I loved that there was a chapter in which she wrote about 3 amazing women and their life stories. These inspirational women are amazing at remembering just who is in control of their...and each one of our lives. That is Heavenly Father. He loves us, He wants what is best for us and he knows that if we have all the control we are not going to get what we need to grow and develop in the way that we should. Make sure you set aside some time to read this great book and think about how you too can achieve The Beautiful Balance that Michelle teaches us about. If you need more balance in your life, this is the book for you! I'll be honest. I wasn't sure that I wanted to read this book right now because I'm so busy and so stressed. Life is tough, with so many unknowns, and I'm wallowing around, wondering how in the world I'll muddle through and gain control over everything in my life. And then I picked this book up and my outlook and attitude changed drastically. This book is written in a way that really touched my soul. Scriptural references, humorous antidotes, fantastic quotes, and pep talks fill these pages and I feel so much better about life now. I think this author was writing directly for me. One of my favorite quotes from the book comes when Michelle Wilson is enduring a trial and feels the words come from the Lord , "No, you do not have control over your surroundings, but there is no need to fear. I have given you control over the one thing that matters--yourself." This is for me. The book goes on to talk about the beautiful balance that comes with control--control yourself and trust the rest to God. The book then breaks down four areas of personal control--priorities, actions, attitude, and beliefs. I love the way each chapter is broken down in a way that is easy to internalize. There are so many thoughts found in this book that almost force me to savor and ponder. I really loved it and will be re-reading parts of it frequently. If you're wondering how to find balance in your life, this is a must-read.